Willing to try a hand at poker sport? Keen to hone your skills as a poker player? Looking for an online entertainment platform that rewards you to play poker & win cash? Want to play against top poker players? Seeking the fun and excitement of professional poker? 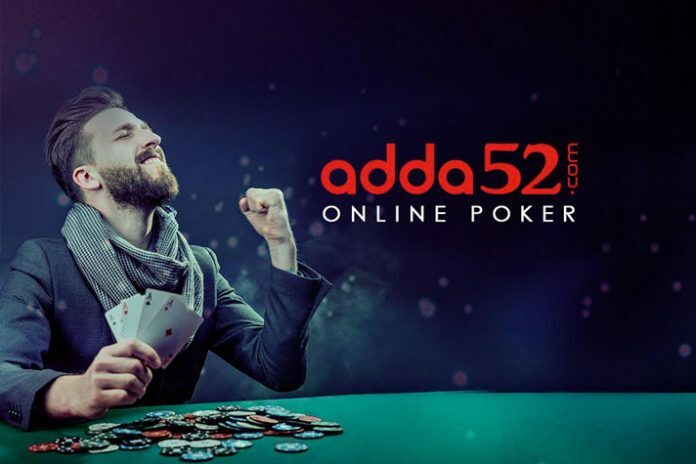 Then Adda52.com is your e-destination– from starting poker as a minnow to attaining the skills of an international professional. 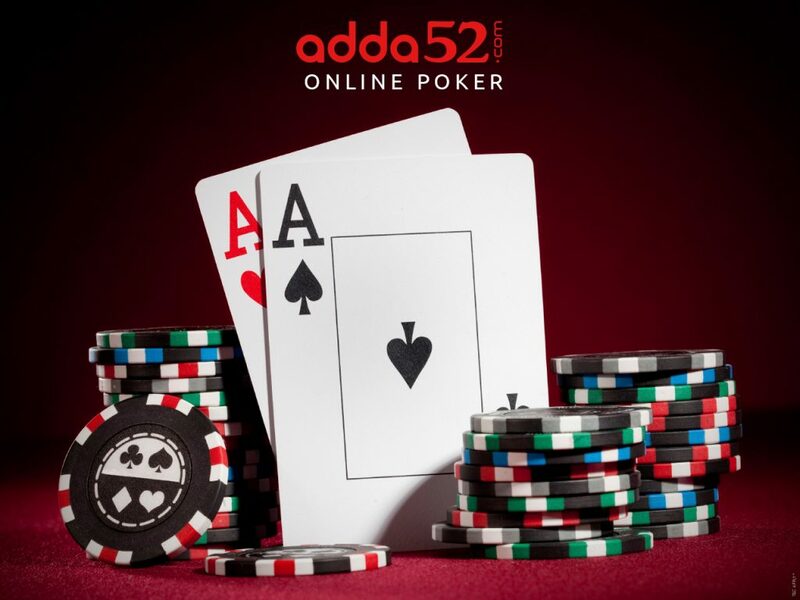 Adda52.com is India’s largest online poker website with 1.5 million active users. The oldest online poker platform in India, Adda52 does ensure that the winnings are transferred into your bank account. It is all fair, legal and transparent. Adda52 offers an opportunity to play Free Roll games that needs No Buy-in and is absolutely free. It’s the perfect way to up your game! Play against and observe real players, hone the skills, go up the ladder and rise to become a professional PLAYER. The growth brings with it opportunities to win money while getting entertained. A new player, or a beginner, registering with Adda52.com receives 170,000 practice chips. All complimentary – free of cost. The beginners can use these practice chips to play with different players on different tables. It saves a novice from losing money in the process of learning the skills of the game. 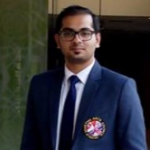 “The chips are also allowed for participation in tournaments without making any deposits,” says Shariq Khan, Sr. Manager – Digital Marketing at Adda52. In a tournament a player gets prize money, which can be utilized for playing more cash games. This is not a game of chance, a player needs certain skills to win. The ‘chance’ games like roulette or baccarat do not require any skill. These are games of sheer chance, either the player wins or the casino will win. “However, in poker sport at Adda52 you play against real players and the house is not there. We at Adda52 have created a software which needs at least two real persons to be there on the app or on the website for the game to start. It involves a great amount of skill because even if you have a good hand and you don’t know what to do in a particular situation, you will not be winning. Similarly, when you have a weak hand but good skills, you will know how to avoid losses,” says Shariq. Adds52 has a random software that connects two or more players to play against each other. The software is certified by RNG Labs for its randomness. “An RNG Labs certificate for randomness in a layman’s language would mean if a card is drawn random for you, the cards will similarly be drawn randomly for other players sitting on the table against you,” clarifies Shariq. “So randomly a player is getting good cards say now, the other person might start getting good cards after 5-10 minutes. The randomness clearly itself indicates that the game is the same for everyone. A user should know that if the hand is not good, it is important to fold it. If a player is not wise enough to make that decision, then it is important to brush up one’s skills,” he adds. – Adda52 offers you an opportunity to make money while you are getting entertained. – Even when playing with free chips there remains a probability to win cash. – There is a toll-free Adda52 support which the users can call at 180030000611 for any kind of grievances, queries or complaints that they might have. The online poker platform as the market leader remains committed to safeguarding the interest of the beginners with the following three-way formula. 1. Adda52 gives 1.7 lakh practice chips free of any cost to every user who registers with the website. 2. 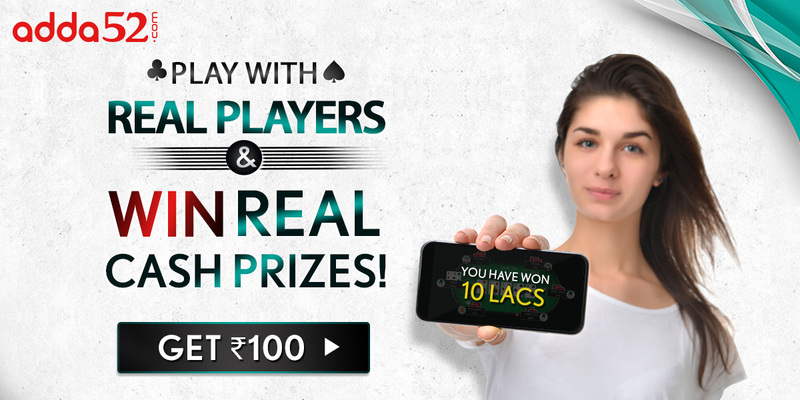 The beginners who have learnt how to play using these practice chips and want to try out cash or tournament games can start by depositing as low as Rs.50. 3. Adda52 has also mentioned guidelines for the players on its website & follows the practice of Responsible Gaming. “A lot of players have won Lakhs from playing on Adda52. Looking at the growing popularity among the masses we can say that Poker is here to stay!” shares Shariq. “However, like in any other sport in poker too there is winning & losing. Even if you have a run of bad performances or you are losing continuously over a period of time that does not mean poker as a sport is bad. Like in any other sport, in poker too you win sometime, you lose sometime. It is just that you need to play more cautiously and practice harder. The international poker community is catching up on the Indian market. There has been a drastic surge of Indian faces playing for International Poker Titles. And a lot of such players have started their journey from here! “At Adda 52, we say we provide moneytainment to our users,” concludes Shariq.